I vote for Jerry Yan. theres no need for comparison really.. wu chun cant act and sing as of now well he gotta improve first before he can be compared to jerry...if he can do that then thats the time we can judge. well, both actors are hotties..
they have different characteristics which makes them lovable..
but of course, there is a need to choose..
probably because i know him better than jerry..
chun is a certified food lover! yet, he maintains a healthy lifestyle..
he's a hottie not only in the physical aspect..
he's also a caring and helpful person to his family, friends and also his fans..
Edited by prella, 28 April 2009 - 03:16 PM. but I think I grew out of liking him..though I still see him as a great artiste..
one of the best artiste in Taiwan actually..
he's dreamy..I can't resist that guy's charm..
All in all, I pick Chun..
Well, I guess Chun hypnotized me haha..but I chose to be hypnotized by him..
WU CHUN for sure I never appreciate Jerry . In F4, I prefer Jai Jai cause he looks hilarious ,manner and smart in the other way Jerry looks so dull . and his acting is so plain. Though I like Jerry Yan, too..
aiyoh.. why compare both of them lah? after all in KXLL jerry also praised chun what..
i like both of them as they both had their own charming personalities. but to be honest i like chun more now though i still love jerry. i'm working on his puzzle now. lol. miss F4 though. 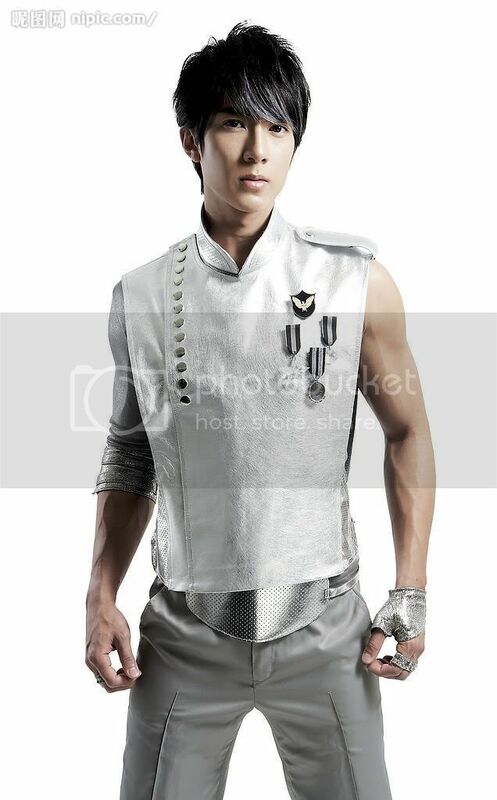 well as for wu chun he's the second of my ultimate crushes...i love his looks..he's killing me!! But they both were pretty Good at Hot Shot. sleepyhead12 ,,you said you haven't watch any of Jerry Yans drama series?..then I pity you, poor sleepyhead, you're the only one then who haven't watch. when the whole world is crazy over HIM..HAHAHA..PRAISE TO JERRY YAN. HE IS EXCEPTIONAL, HE'S MORE THAN THE USUAL AND HE'S PROUD TO BE ONE, THAT'S WHY EVERYBODY LOVES HIM.. WU CHUN? BOOOO, HE'S SO ORDINARY... and his acting skills? no depth, so plain and the only series i've watch that he's there was HOT SHOT, and i watched it primarily because of JERRY YAN. he's character there is even not that important. i think we will just have to thank him for his special participation..POOR WU CHUN. I DON'T LIKE YOU. sleepyhead12 ,,you said you haven't watch any of Jerry Yans drama series?..then I pity you, poor sleepyhead, you're the only one then who haven't watch. when the whole world is crazy over HIM..HAHAHA..PRAISE TO JerryYAN. HE IS EXCEPTIONAL, HE'S MORE THAN THE USUAL AND HE'S PROUD TO BE ONE, THAT'S WHY EVERYBODY LOVES HIM.. WU CHUN? BOOOO, HE'S SO ORDINARY... and his acting skills? no depth, so plain and the only series i've watch that he's there was HOT SHOT, and i watched it primarily because of Jerry YAN. he's character there is even not that important. i think we will just have to thank him for his special participation..POOR WU CHUN. I DON'T LIKE YOU.